MoviePass, the ticketing startup that burned through hundreds of millions of dollars trying to undercut the theater business by selling tickets at cost to subscribers, has screwed up an awful lot as of late. Its parent company Helios & Matheson is being sued by shareholders for alleged fraud, as well as investigated by New York authorities for the same reason. It’s alienated subscribers by randomly changing its terms of service or shutting down access to specific theaters or films on a whim to slow its cash hemorrhage, and it’s even infuriated those who canceled their passes by allegedly signing them back up without their permission. It is now reportedly getting spun out of Helios & Matheson, probably because its owners’ stock price has plummeted into nightmare territory and they’ve had to launch a fire sale just to keep funding MoviePass operations. Frankly, it’s unclear how they’ve been able to secure any more money at all other than sheer inertia. 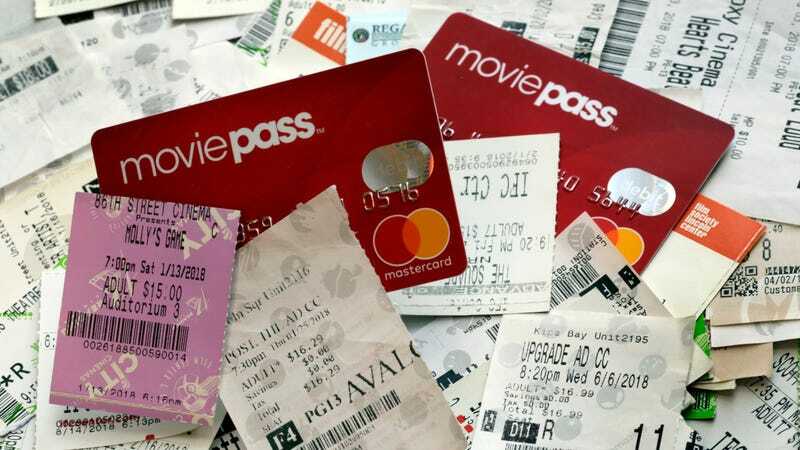 In the meantime, rivals like Sinemia have sprung up, and theater giant AMC seems confident enough in the MoviePass’s imminent demise that it is raising prices for its Stubs A-List service. Don’t worry, though. MoviePass has something that will make it all better. Woof! I’m Chloe, the Director of Barketing at MoviePass. I’d like to explain why from time to time you may have had a “ruff” experience with us but it turns out that I’m a dog and I can’t talk. What I do know is that I see these humans working like crazy to make MoviePass better and better for you as fast as possible. They are so grateful for your membership and support while they work it out. We’re listening. We’re learning. We’re changing. As Mashable noted, this is the entire email. That is it. It was apparently take-your-dog-to-work-day over at MoviePass, and this is what they came up with. Something tells me that Chloe is gonna have to do a lot more than listening, learning, and changing to turn MoviePass around—Like digging up $300 million in pirate gold someone left in the backyard.